Have you ever wanted to play with your favorite toy or gadget, only to find it has been hidden just beyond your grasp? Well, this cat feels your pain. 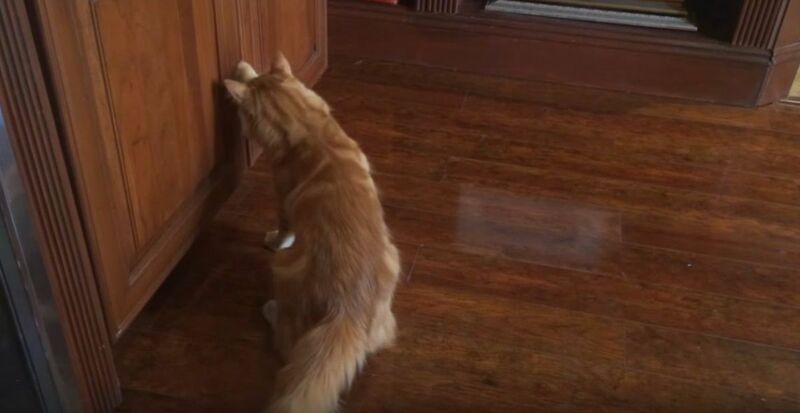 Jack the cat was not pleased that his owners had hidden his beloved mouse toy in a cabinet just out of his grasp — but they hadn't thought it all the way through. Jack would not be thwarted by this unamewsing game, and was determined to get his paws on his favorite toy. Using all of his kitty cleverness, Jack succeeded in outsmarting this pitiful attempt to hide his mouse from him. Take that, humans. If you enjoyed watching Jack make off with his forbidden toy, share his uncommonly clever problem-solving skills with your friends.